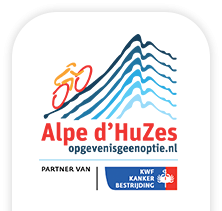 Alpe d'HuZes was founded with the aim of converting the powerlessness caused by cancer into strenght. We do this by constantly shifting the boundaries of what is possible with as many people as possible. Under the motto 'giving up is not an option' we do not accept restrictions in what we can and will achieve. You achieve the greatest possible satisfaction when you dedicate yourself with heart and soul to another person. That is our conviction. In memory of the people who died of cancer too early, as an inspiration for the people who are fighting now. To promote and support scientific cancer research, so that no one dies of cancer in the future. The organisation guarantees that all donations collected by participants fully goes to the formulated goal of the foundation, without deduction of expenses. No board member, sponsor, participant or volunteer acquires any material benefit from the foundation. The foundation remains independent and does not permanently commit itself to anyone or anything. This also means, for example, that the foundation does not grant any exclusivity to a sponsor or participant. In all its activities and decisions, the foundation always keeps the interests of the cancer patient in mind. We treat volunteers and participants with care and respect. We are equal to each other and we trust each other. Voluntary is not without obligation: it is important to be able to build on each other and contribute what fits within your abilities. Our goals are always leading. 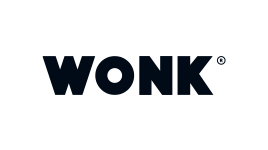 All results of all research/projects financed by the Alpe d'HuZes/KWF Fund must be made available to anyone who requests them, in full and unabridged.